Loaded with shredded zucchini and squash, these healthy chicken & zucchini burgers are full of flavor and juicy. Give beef a break and serve up chicken burgers instead. It’s summer and we’ve been eating a lot of beef. 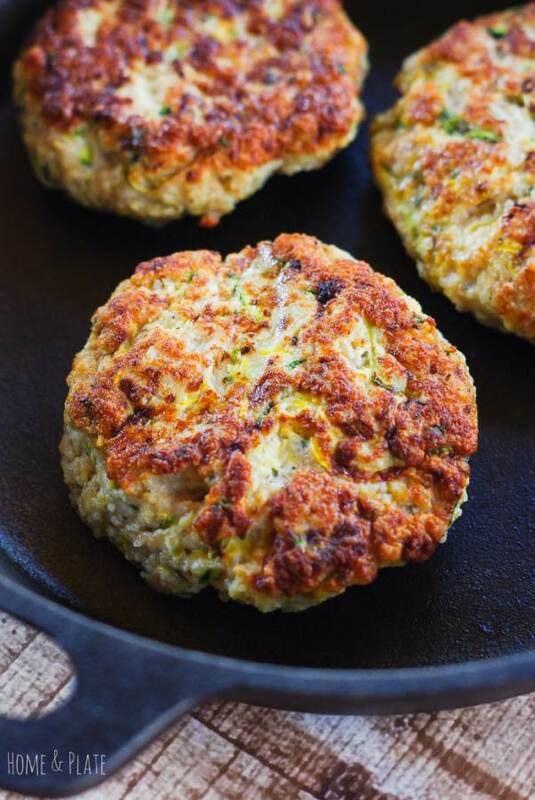 While hamburgers and steaks on the grill, are typical summer fare, I like to use up my bounty of homegrown gourds to make the most flavorful chicken and zucchini burgers you could ever imagine. Sometimes it’s nice to switch things up when you want a break from red meat! These burgers are just as juicy as traditional burgers but with zero guilt. 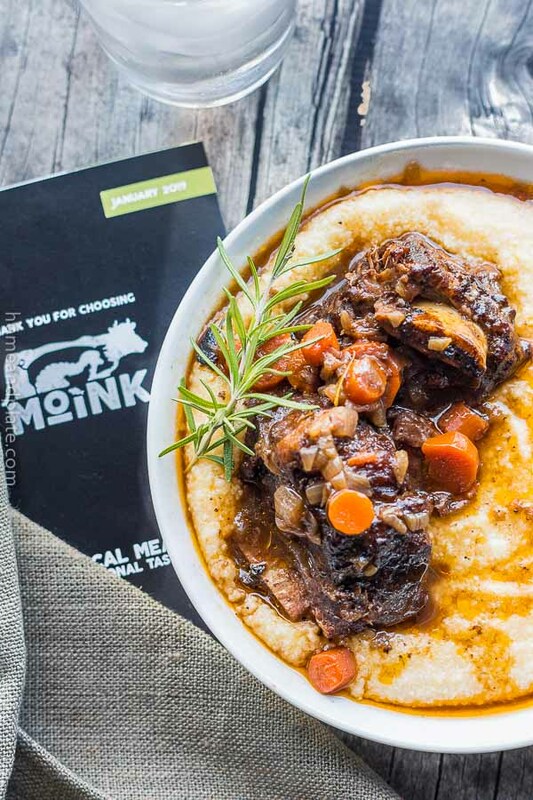 If you are looking for a way to reduce your beef intake, lower your fat consumption and eat more vegetables, then this is the recipe for you. Are chicken and zucchini burgers tasteless? Plain ground chicken burgers are boring, lack flavor and dry out quickly. 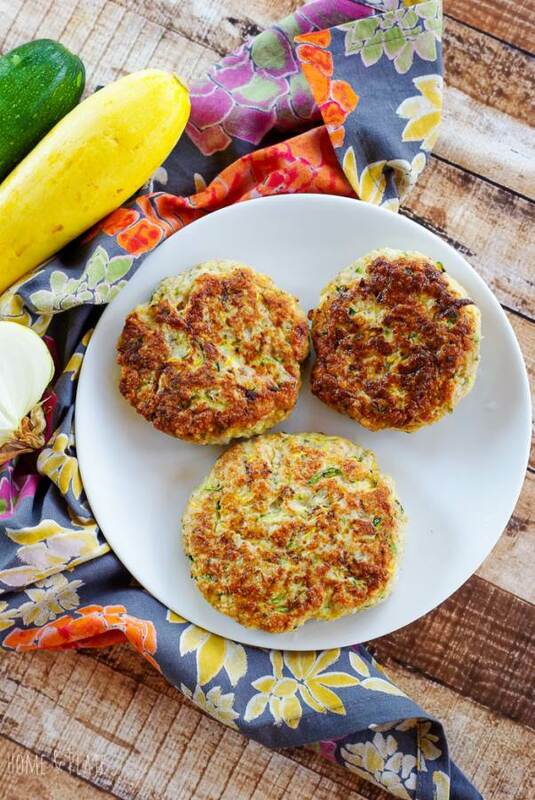 Summer squash and garden zucchini are shredded and mixed with Panko breadcrumbs for an inventive burger that’s juicy and full of flavor. 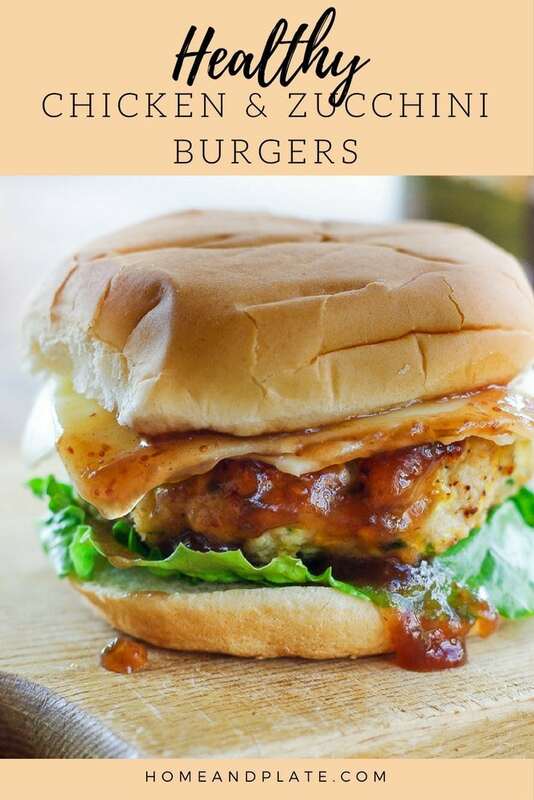 Seared to golden perfection and baked to finish, I like to top these chicken burgers with a slice of Vermont white cheddar cheese and a dollop of spicy sweet jam. 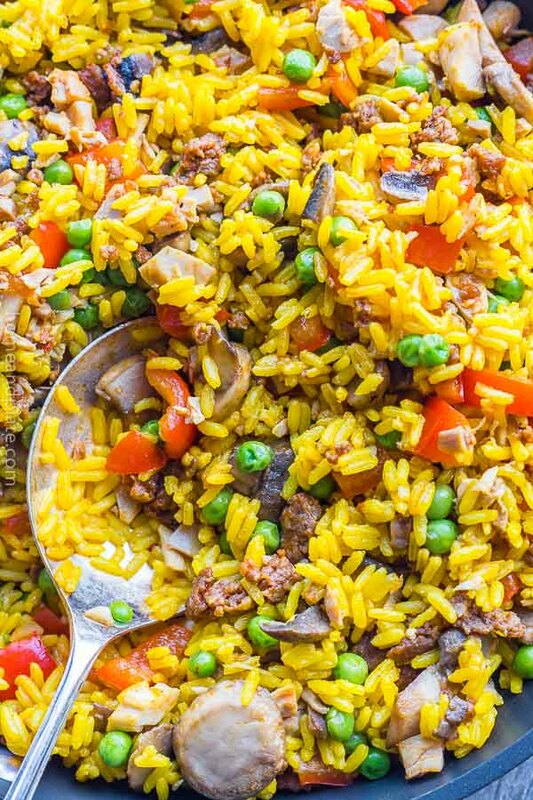 This recipe is simple to make and can be on the table in under 30 minutes. Ground chicken. Ground chicken or ground turkey is what you’ll need. One pound will yield at least four burgers. Egg. One small egg helps bind all the ingredients together. Breadcrumbs. Stick with Panko breadcrumbs. They help keep the ground chicken from become too sticky to work with. Zucchini. Make sure it’s thick enough to hold in your hand to shred. The more shredded zucchini you add, the more moist the burgers will be. Squash. Grab it from the garden or the produce department of your grocery. Onion. I tend to stick with my old time favorite, sweet Vidalia. Cayenne pepper. Adding a dash of heat adds so much flavor to these patties but not so much to be overpowering. Trying to keep things healthy? Skip the cheese and buns and serve on lettuce leaves with a dollop of your favorite fruity jalapeño jam. My favorite is Bellisari’s Blistered Jalapeno & Fig Spread and I always make sure I have it on hand because it’s so tasty on so many dishes. Preheat oven to 400 degrees. After shredding the zucchini and squash, use your hands to squeeze any moisture from the vegetables. In a large bowl, mix together the ground chicken, zucchini, squash, onions, bread crumbs, egg, cayenne pepper, and kosher salt. Using your hands, carefully create 4-5 chicken patties. Add 1 tablespoons of olive oil to large cast-iron skillet or frying pan and allow the pan to get good and hot. Sear the chicken patties about 3-4 minutes per side or until golden brown. Transfer the chicken patties to a baking sheet and bake for 8 minutes. Add a slice of cheese to the top of each patty and bake for two minutes longer. Serve on your favorite burger buns with the toppings of your choice. These chicken patties look delicious! I wound’t mind having this burger for a dinner tonight. Oh goodness! This chicken burger looks mouthwatering! I can’t wait to try it, thanks! Thanks Jagruit…I appreciate your kind comment. Thanks Joyce. Sometimes a chicken burger beats a beef burger especially when adding zukes. My goodness this looks tasty! I love that it’s healthy! Thanks Brandi…it’s a great way to use up the zucchini from the garden. Cannot wait to try these. 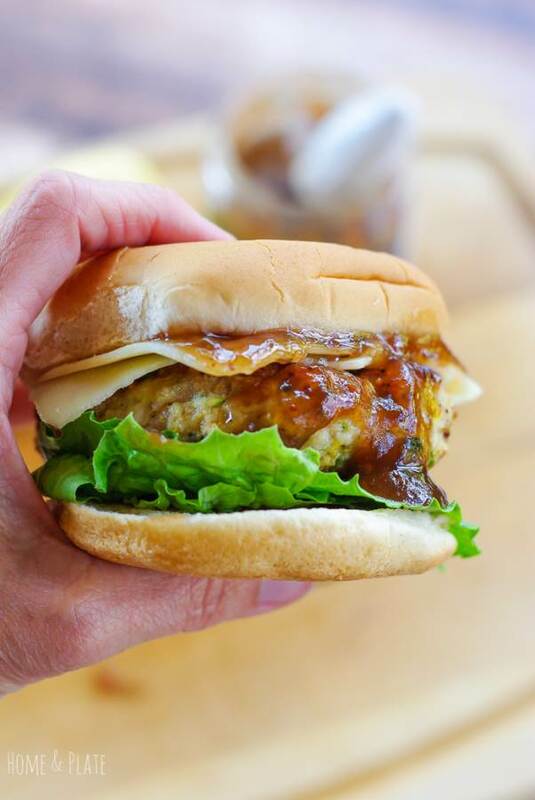 I make up all kinds of chicken burgers and vacuum seal and freeze and will definitely add this one! Whenever they have chicken breast sales I buy up a big supply and grind it all up. Then I freeze up several pkgs of regular and the rest I make all different flavors of burgers with different seasonings and veggies and cheeses. SO much more economical!. Who sells the jam you spoke of? Thanks so much! Kathleen…I buy lots of chicken too because my kids eat so much of it. What a great idea to freeze your burgers ahead of time and just pull them out when you need them. I purchased the jam from http://bellisaris.com/ …they have lots of delicious products. Check them out.